Baseband 4.12.01 on iOS 5.1 was released during the launch event of the new iPad back on March 7th. What was astonishing is that Apple released iOS 5.1 version instead of a GM version. We warned the users to keep away from the latest firmware as that won’t allow for unlocking and untethered jailbreak. 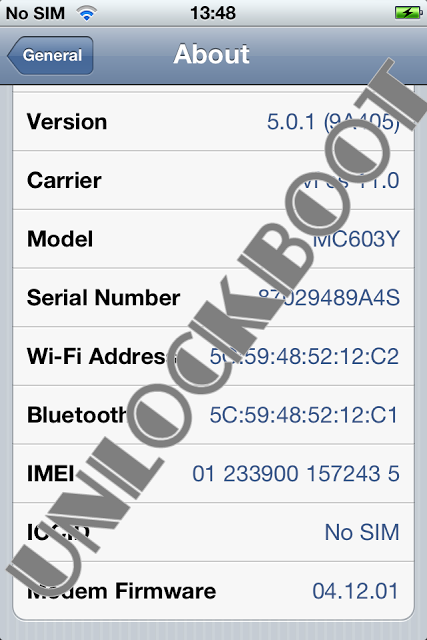 Unlock 4.12.01 Baseband on your iPhone 4 with iOS 5.1 firmware ? iOS 5.1 should be at a distance to the iPhone 4S or iPad 2 users as it won’t allow downgrading to iOS 5 / 5.1 even by saving SHSH blobs. Like any other iOS update, iOS 5.1 also brings along a new baseband for the iPhone 4 which has been updated to 4.12.01. As off now, there isn’t any unlock solution available for baseband 4.12.01. One rule everyone should keep in mind, especially the newbies. Once updated to iOS 5.1’s 4.12.01, there won’t be any way to downgrade it. After Apple stops singing a particular firmware version then users won’t be able to downgrade 4.12.01 to lower unlockable basebands such as 1.59.00, 3.10, 2.10 or 4.10.01. Those who are stuck on 4.11.08 basebands are recommended to keep at that one as 4.12.01 is a new one and it would be a long time before developers start to get exploits for it. Now why do we recommend to Stay on 4.11.08 baseband? Because ApplenBerry are going to release a new Gevey SIM while the new R-SIM 4 is also going to arrive soon. Both of these are going to provide an unlocking solution. Atleast that’s what they claim to! There is a pretty simple solution to prevent the baseband update. Simply stay away from the new firmware update. If you restore iOS 5.1 to your iPhone 4, it will upgrade your baseband. Also it should be remembered that the updated version of Ultrasn0w only supports few basebands and new basebands are added to the iOS 5.1 compatibility update. 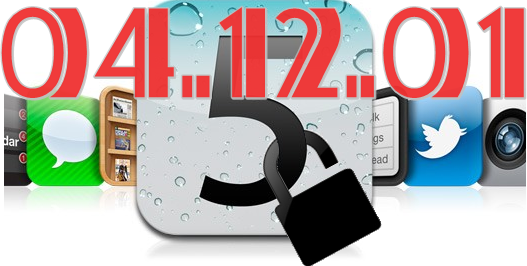 We will keep you informed about Unlock 4.12.01 Baseband. Meanwhile, feel free to comment below ! Update: If you have device with baseband 4.12.01, 4.12.02 or 4.11.08 you can read our full guide to factory unlock iPhone 4. Next articleUnlock 4.11.08 Baseband With R-SIM 4 Need 1 Week More or Less !